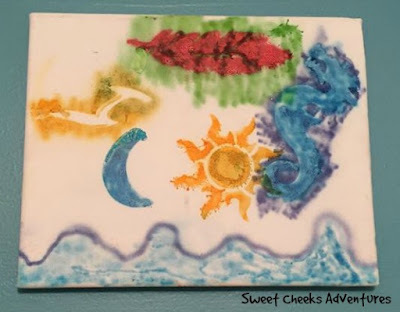 Sweet Cheeks Adventures: Crayola Air Marker Spray Makes a Great Gift! Crayola Air Marker Spray Makes a Great Gift! A special Thank You to Crayola for sponsoring today's review. The Crayola product, gift card, information, and additional gift pack have been provided by Crayola. All opinions are my own. This year the children are decorating our house with homemade art work! With the help of Crayola, the kids have been leaving their mark! Initially when we received the Air Marker Sprayer, I thought we would do a little Christmas fun and they would lose interest in it. That certainly hasn't happened. The Christmas fun happened, but the interest is still there. 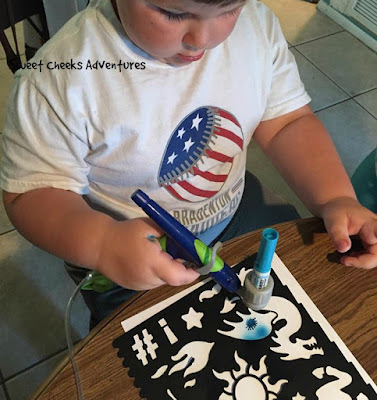 Crafting is a big thing in our home and the Crayola Air Marker Sprayer is a big part of that fun! Crayola has made spray art super easy with the new Air Marker Sprayer! You load the marker, tighten the sprayer, hit the button and spray! We recorded a little video for you. Both Allyson and Cooper love this product. I had a little fun with it too. You see, the Crayola Air Marker Sprayer comes with stencils, paper and your first set of markers needed to get started. The stencils range from a dragon to the sun to a heart. You'll also find the alphabet in case spelling something out is more up your alley! If you're looking for something specific, you can find more options on the Crayola Website! 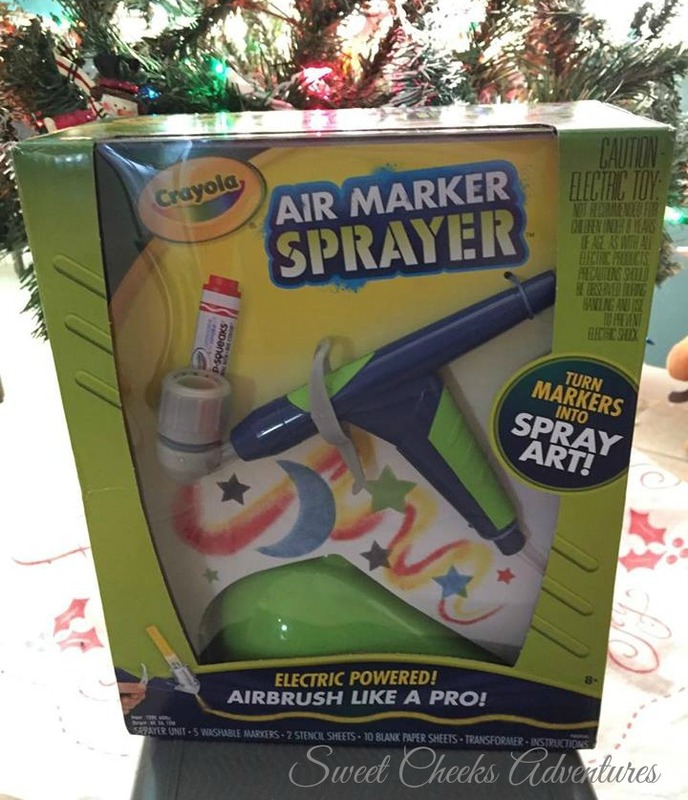 The Crayola Air Marker Sprayer would make a great Christmas gift. If you don't want to give the actual sprayer as a gift, let the kids make homemade gifts for your loved ones! They'll be gifts you won't forget. Don't go just yet! There's a Giveaway!! **Giveaway open to US Residents only. Giveaway will run through 12/15/16 at 11:59. Winner will be notified through email. My favorite memory of Crayola while growing up is how smooth the crayons colored! I always say Crayola was the best to color with! This looks very cool! Thanks for the giveaway! My childhood memory of Crayola is remembering how smooth they colored! I prefer Crayola over other brands! This looks neat!